This week’s big iPad rumor is all about a much bigger iPad. It’s a rumor that was around for months back in 2013 and has now surfaced again via a report by Bloomberg, which says production of the much larger new iPad is set to get started in the first quarter of 2015. The report states that the new larger iPad’s screen will measure 12.9 inches – a big step up form the current largest iPad Air model at 9.7 inches. 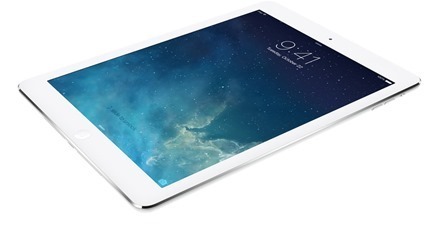 There would be a number of potentially ripe markets for a jumbo-sized iPad. One that was frequently mentioned when the 12 inch iPad rumors first started was the education market, with the large iPad replacing textbooks. Ironically, I’ve also read a report this morning on how the momentum of the iPad in the education market is on the wane. Maybe this rumored larger model would help address that. What do you all think about a nearly 13 inch iPad? Would you use one? If this rumor is accurate that would be good news, though not great news I’d say. Great news would be 3GB of RAM or more for the top-end of the iPad line. RAM has been the weakest spec detail on the iPad for years now, and it lags well behind some rivals. 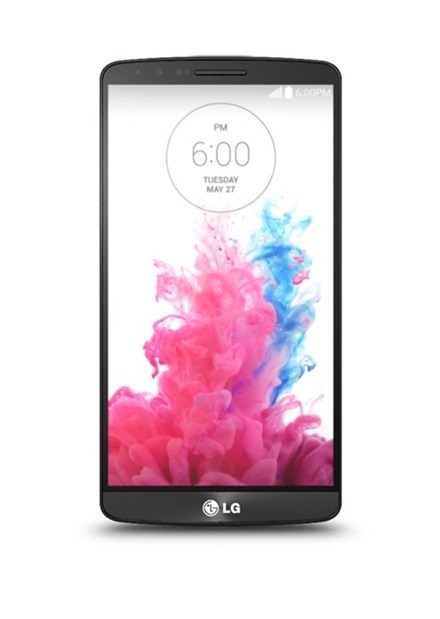 Heck, it even lags way behind the LG G3 phone that I carry – which has triple the amount of RAM of the current iPad Air. And a number of other leading smartphones offer double and triple the amount of RAM of the iPad. I’ve been complaining about this ‘feature’ of the iPad for years, and I really wish Apple would give some serious new love to this memory spec of the iPad lineup. If this latest rumor is right though, it doesn’t sound promising in this area, since it also speculates that the next-gen iPad mini will still offer just 1GB of RAM. According to 9to5Mac, the feature list for the next iPads (full-size and mini) will include faster A8 processors, the TouchID fingerprint scanner, improved cameras, and (at least on the full-size model) a new anti-reflective coating that’s said to make the iPad easier to read in sunlight or similar conditions. A faster processor is always welcome, TouchID would be a nice addition, but my one BIG wish list item remains the same as it has for years: More RAM. This is long overdue and is an area where the iPad is extremely weak compared to several rivals and even many high-end smartphones by now. Microsoft heavily promotes this feature on their range of Surface tablets. 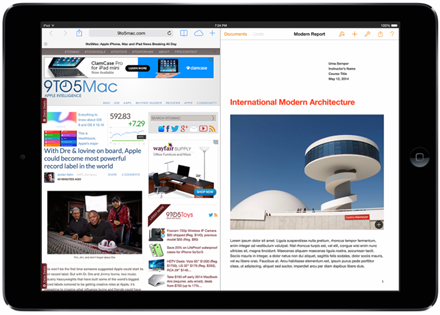 It will be interesting to see whether Apple decides to match or, more likely, improve on it in iOS 8 for the iPad. One of the latest rumors leading up to Apple’s iPad announcement event today says that Apple is testing new ‘Surface-like’ keyboard cases for the new iPad 5 that’s expected to be unveiled at the event. According to ex-Apple Developer Relations employee and industry analyst Jamie Ryan (viaGizmodo UK), Apple has been testing a first-party keyboard case to be potentially released alongside the upcoming fifth-generation iPad. The case itself would reportedly be similar in nature to Microsoft’s Touch Cover, which is made for the Surface line of tablets. I’ve been speaking to a couple of people at Apple for the last few days and they have told me that a case for the full size iPad that mimics Microsofts touch cover has been prototyped. It’s not clear whether the process is far enough along to make this Tuesdays event but they did say a few different styles had been in testing for a while. 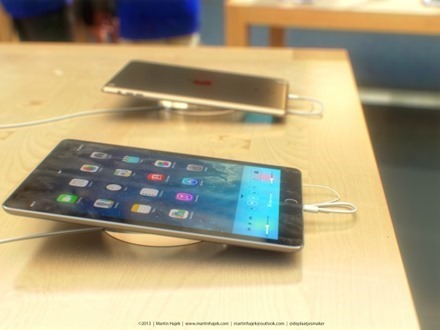 This is an iPad rumor that doesn’t seem at all far fetched. 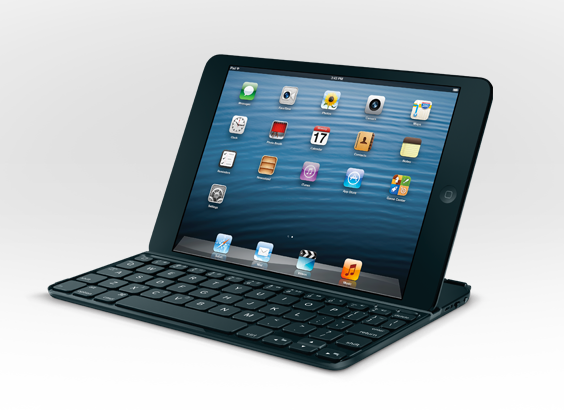 A number of 3rd party vendors have been making iPad keyboard cases for years now. Some of them are very good too – like the Logitech Ultrathin Keyboard Cover for iPad mini shown above. If Apple offers a keyboard case that rivals or betters some of those from companies like Logitech and ZAGG I’d definitely be interested in trying it out. What do you all think? Would you be interested in an iPad 5 keyboard case? As the expected new iPads announcement event looms just a week away now, the rumors and leaks about the iPad 5 and iPad mini 2nd gen continue to spread. A couple that have caught my eye this week relate to slight changes in size for both the iPad 5th gen and the iPad mini 2. 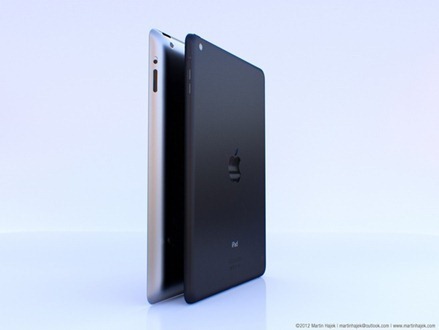 The iPad 5 is expected to adopt a more ‘minified’ style and becom slightly slimmer and lighter. Along with this slimming down, Apple Insider reports that Apple will offer a new iPad Smart Cover to fit the new iPad 5. Some Chinese case-makers expect the new iPad mini to be roughly 0.3mm thicker than the current model, going from 7.2mm to 7.5mm, according to a report from Mac Otakara. The cases also indicate the device will be 0.2mm wider, growing from 134.7mm to some 134.9mm. A number of iPad mini backplates, supposedly from the new device, have leaked over the past few months, with no hint that the size of the new mini will be different from the old one. However, given the small size changes in the new report — only 0.3mm difference in thickness — it would likely take a micrometer to notice any change. Both of these latest rumors make good sense to me. A new Smart Cover seems a no-brainer as they’ve been popular and effective cases several generations of the iPad and iPad mini already. And the iPad mini being a little bit larger to handle Retina display would follow the precedent set when the iPad 3 went Retina. Boy, the rumors about whether or not we’ll see an iPad mini with Retina display in 2013 have been flying round all year long. One minute it’s a sure thing we will see the Retina iPad min this year; the next it’s a definite no-go due to supply chain issues or the complexity of the manufacturing process for it. This is one iPad rumor I’m not fond of, of course. I hope it’s inaccurate because I’d hate to see Apple miss out on the 2013 holiday season with the new Retina iPad mini – which is bound to be a big hit. I also hope this report is wrong for purely personal reasons. My iPad usage now skews something like 80-20 in favor of the iPad mini. My iPad 3 is still a powerful and beautiful device, but the lightness and the form factor of the iPad mini have made it the tablet I use the most since the first week I owned it. So here’s hoping this latest Retina iPad mini report is not on the money, and that Apple announces its iPad event very soon so we can get the real answers on new iPads. 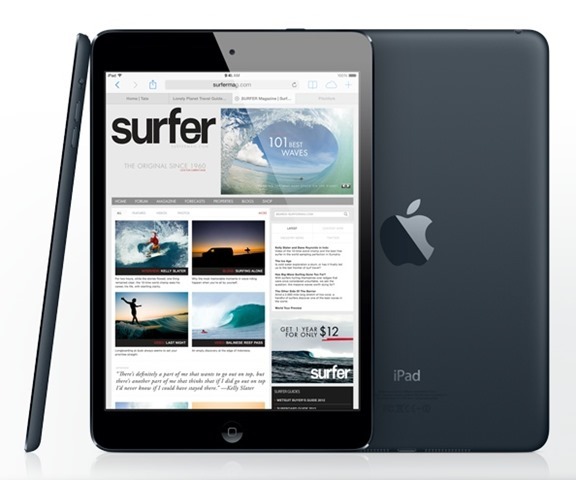 The latest iPad mini rumors suggest that we should expect to see a new iPad mini with retina display in the 3rd quarter of this year, and another new model with retina display and an ‘updated processor’ in the first quarter of 2014. These are based on claims by the NPD DisplaySearch analysts, as reported by CNET. We see two refreshes coming. One in the second half of this year, then one in Q1 [first quarter] of 2014,” analyst Richard Shim told CNET late Sunday night. “The Q1  device will have a Retina display plus an updated processor,” Shim added. 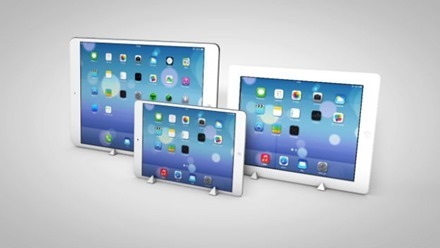 Apple Insider also has a report up today noting that mass production of the screens for the retina display iPad mini could start as early as next month – again citing Shim as the source. 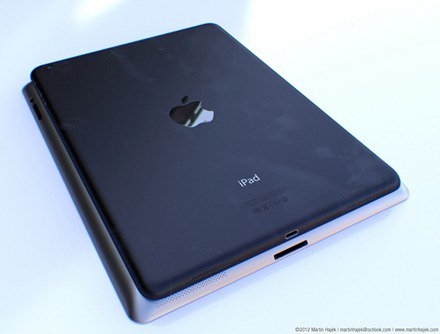 It feels like about time we heard at least some early rumors on the next iPad mini, or any iPd release on the horizon. I’d certainly love to see the first part of these rumors, the 3rd quarter release for a new iPad mini with retina display, prove true. 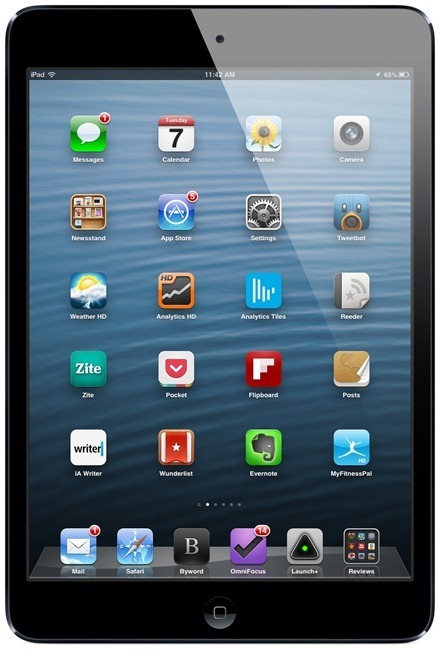 I think we’ve already seen that the iPad mini has quickly become the most popular model in the iPad lineup. When I did a review of the iPad mini I talked about the trade-off of its wonderful lightness more than making up for the lack of retina display. That still holds true, but I also mentioned that adding a retina display to the iPad mini would make it just about a perfect device – and I still feel the same on that point too. 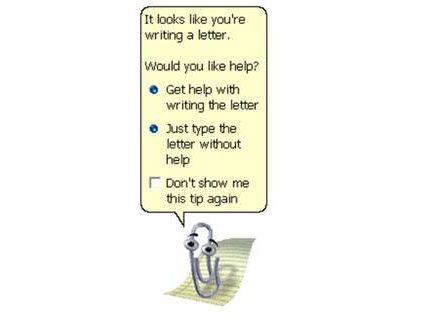 In other words, come on Apple – just tell me when I can line up. So today we’ve got a promising sounding iPad rumor that says Apple may be gearing up for a new iPad release as soon as April. This comes via Rene Ritchie at iMore, who has a very solid recent track record on predicting new Apple product launch and release dates. I’ve said before and still think that a twice a year refresh pattern for the iPad sounds right to me. They did it last year and it would make a lot of sense to me if the iPad 5th gen gets a Spring release and then the iPad mini sees a late Fall release. That should allow for substantial upgrades to the ‘standard’ iPad and hopefully enough time for Apple to work out a way to add a retina display to the iPad mini. My only other quick thought is that while an iPad mini with retina display should be a monster hit right away, the iPad 5 will need some major new features to create anything like as much excitement. What are your thoughts on the new iPads we’ll see this year?